If you are interested in the woman behind the designer that created the Little Black Dress, parfum Chanel nº5 or extolled the beauty of camellias, you must read this biography by Axel Madsen. 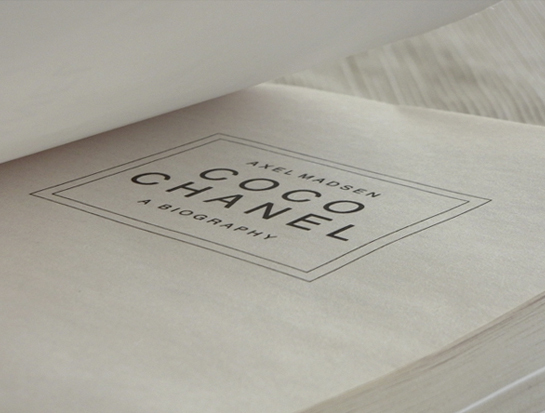 The book narrates her career –why Coco is Chanel?–, but also a rich period of History. Very interesting. Si estáis interesados en la mujer detrás de la diseñadora que creó el Little Black Dress, el perfume Chanel nº5 o ensalzó la belleza de las camelias, debéis leer esta biografía de Axel Madsen. El libro cuenta su trayectoria –¿por qué Coco es Chanel?– y también un periodo muy rico de la historia. Muy interesante y recomendable. Posted in Art, Books, Fashion, Objects, Paris and tagged Books, Coco Chanel. Bookmark the permalink. Really great post:) Have a nice day!